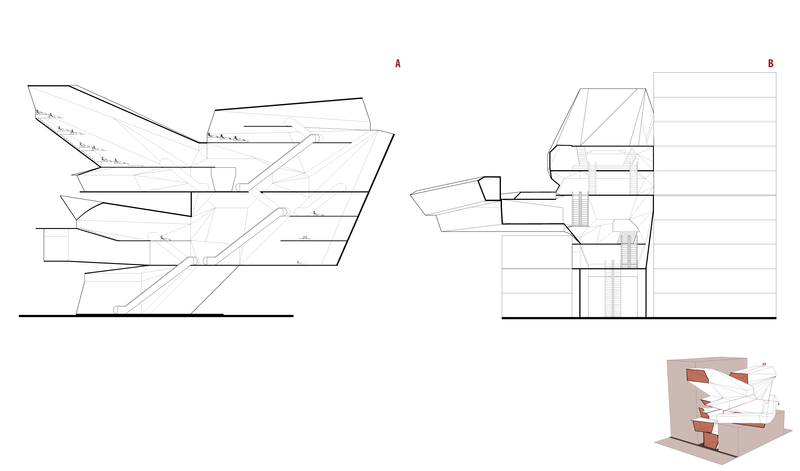 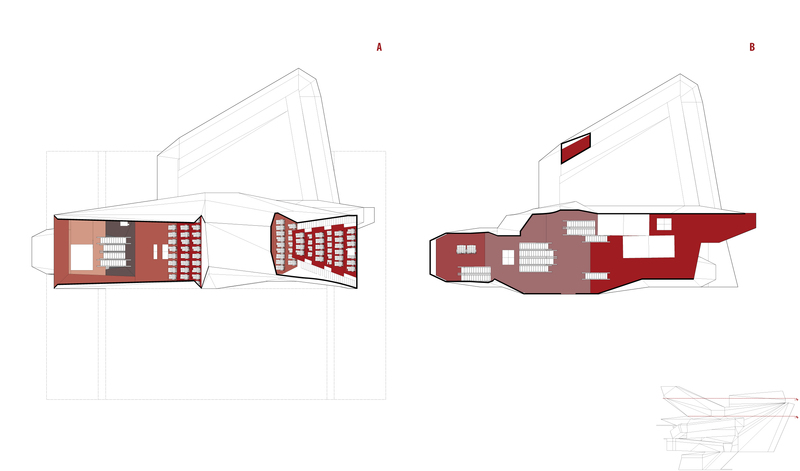 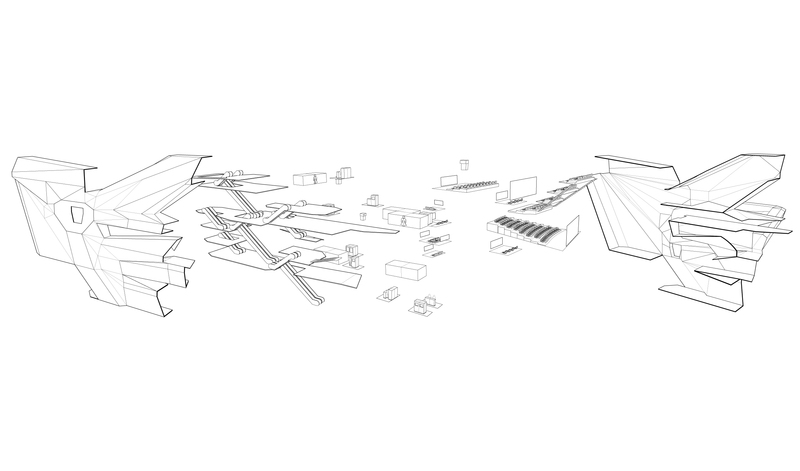 The premise of the project was an exploration of form and the creation of space. 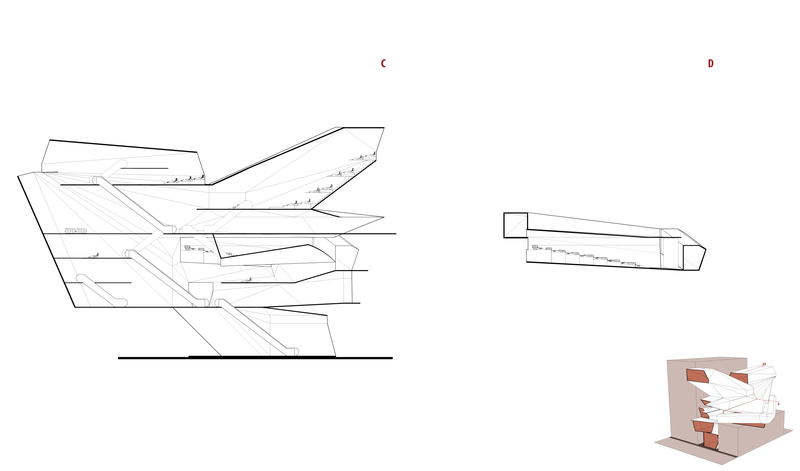 Multiple iterations through the exercises led to the final task of applying program to form. 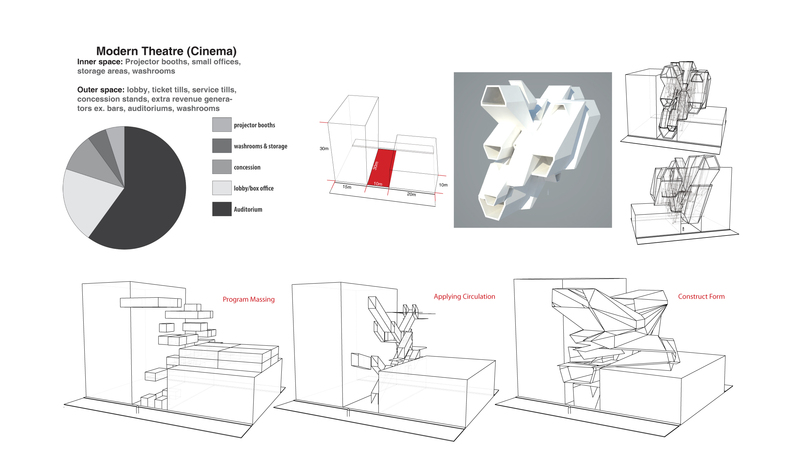 The site context and programs were supplied and limited to defined constraints.The programs were Tim Horton’s, car dealership, and a theatre. 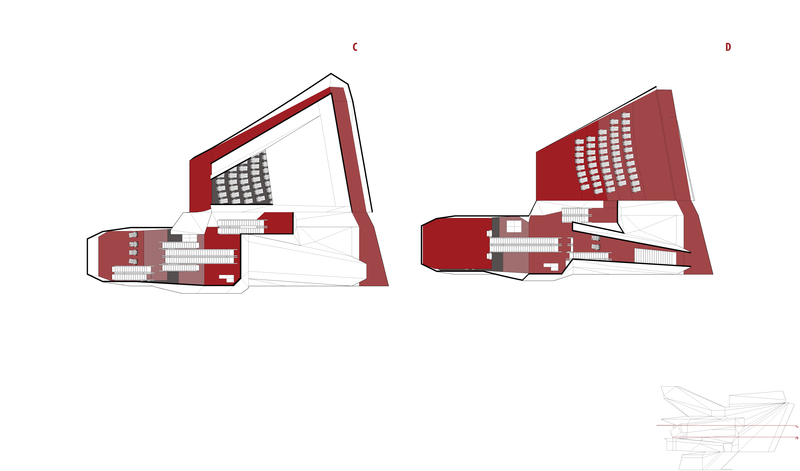 I decided to turn the concept of the multiplex on its side. 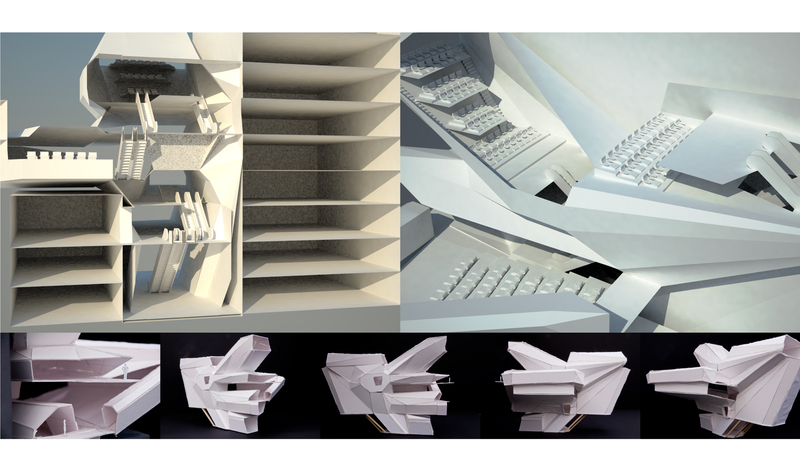 A series of models where then used as “cells” or “tiles” where stacking these forms vertically created a network of interconnected spaces with “grotto-like” theatres recessed into its folded exterior skin.